This time, Kim Kardashian's going to be a spring bride. The 33-year-old reality star, who last tied the knot in August 2011, is looking forward to a May wedding for her third marriage. According to People magazine, Kardashian and her fiancé, Kanye West, have settled on May 24 as their wedding date. The nuptials will be held in Paris, France, as Kardashian's previously indicated. The couple are also reportedly planning to keep this event exclusive, as a source tells the magazine that the wedding will be "small" and only including around 150 people. 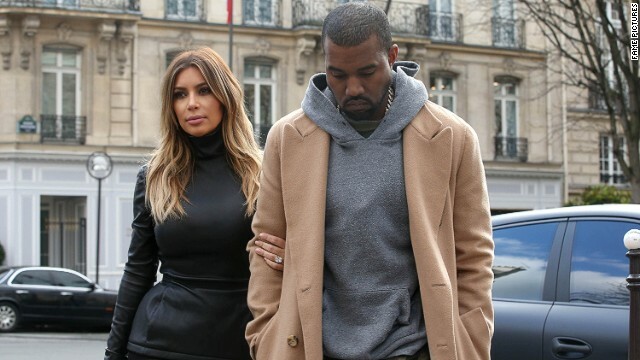 So far, both West and Kardashian have been splitting the wedding planning duties, and you can expect the music to be handled by Yeezus himself. "I know they think or they say that the guy usually doesn't care and just shows up, but Kanye really cares and is really passionate about (the wedding), so it makes my job so much easier," Kardashian told Jimmy Kimmel in January. "I love it because he knows what he wants, and I love that about him." The couple's daughter, North, who will celebrate her first birthday on June 15, is expected to play some part in the wedding ceremony. Just can't wait to see this giant, theatrical circus. Don't forget to order the clowns, Kanye.